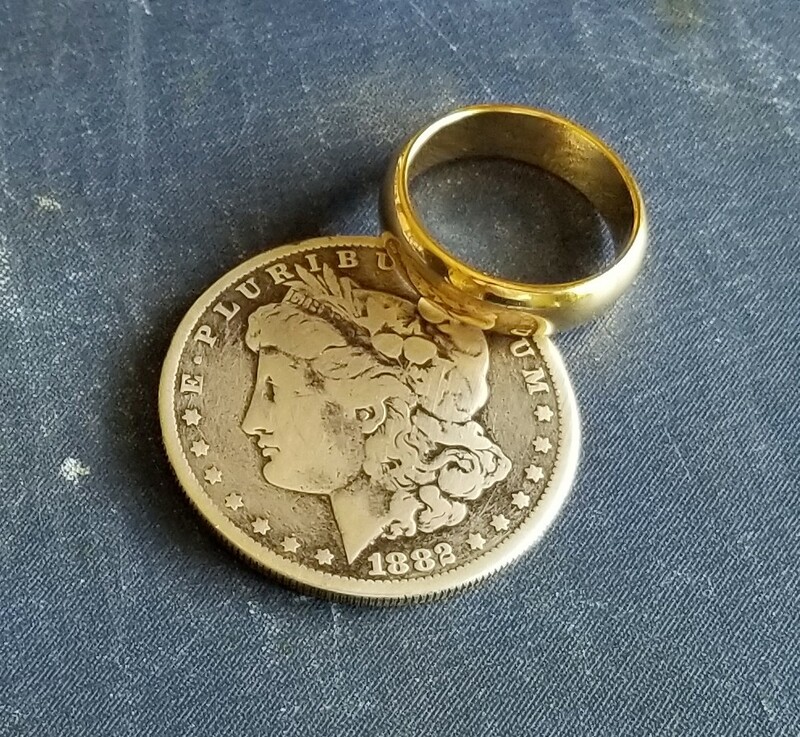 A Morgan Dollar and a Gold Piece are shown, one instantly changes into a finger ring. Your hands are shown empty with nothing added or taken away. 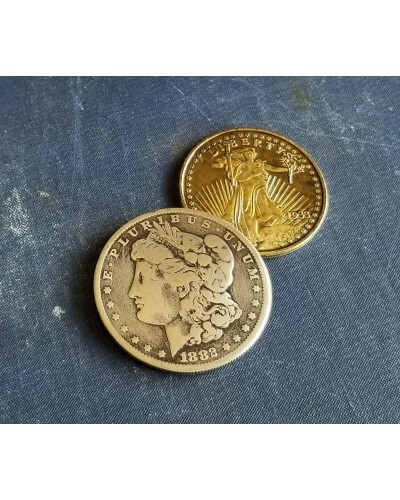 A silver Morgan Dollar and a $20 Gold Piece are displayed. 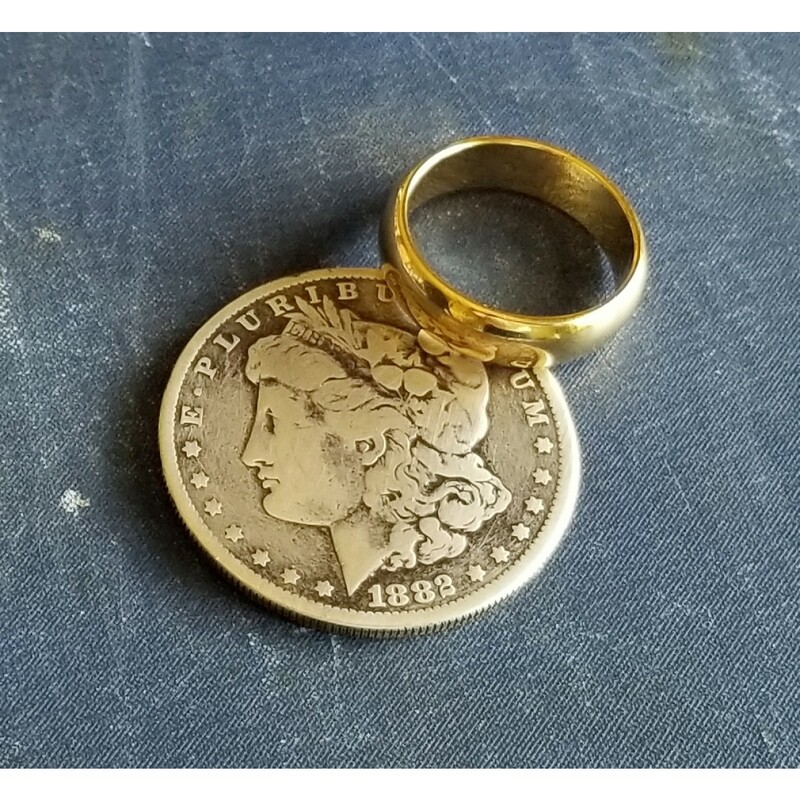 The coins are tapped together and the gold coin instantly changes to a gold ring. 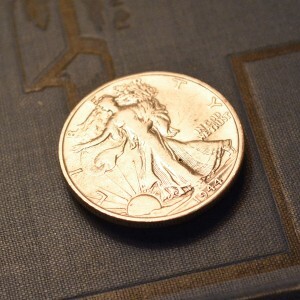 Other presentations are possible. No sleeves or sleights, your hands are empty at the end. 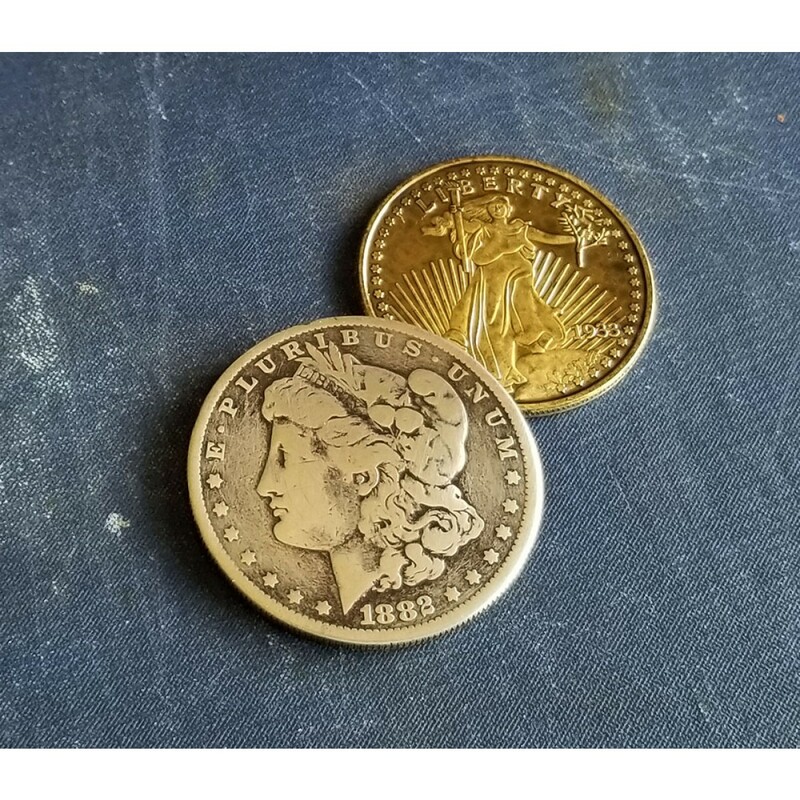 This set was machined in the Martinka workshop from vintage silver Morgan Dollars and a facsimile $20 gold piece. 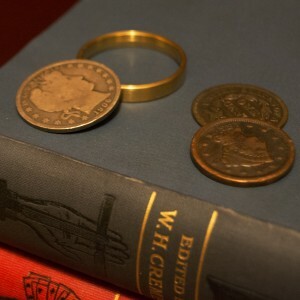 A beautiful set. 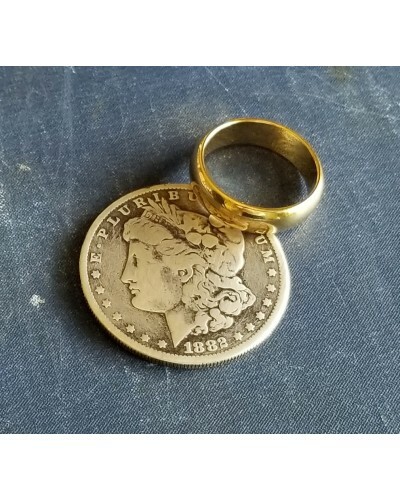 All needed coins and ring are included along with video of presentation and handling ideas.